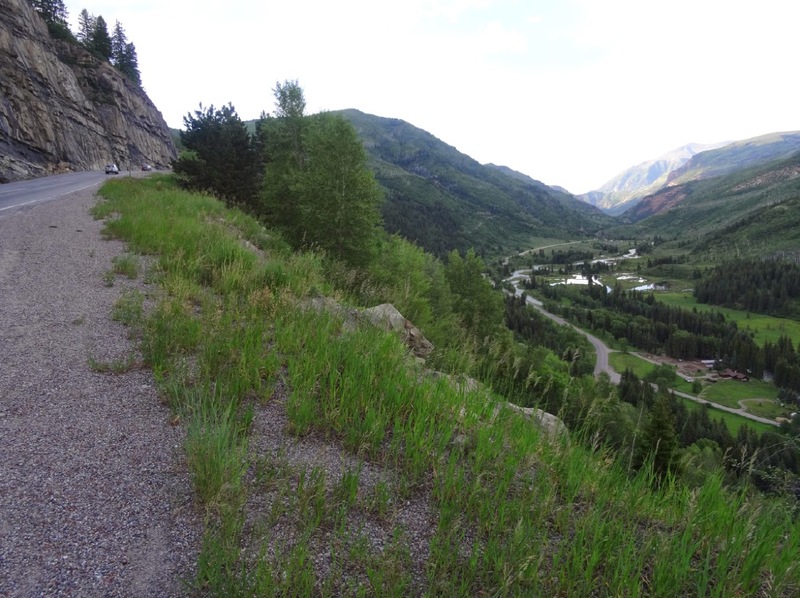 I have an interest this year to experience parts of the routes of the stages of the 2014 USA Pro Challenge. The purpose of these scouting adventures (reci road trips) will be two fold: to better understand the race and to better make tourist suggestions to you. I find it fun to ride the route and then watch the pros do it - better and faster. We all know the world feels different from the saddle of a bike. 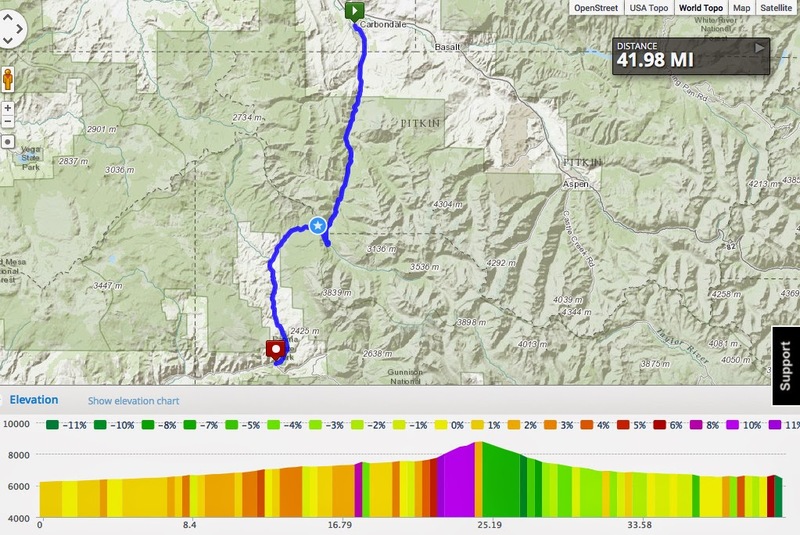 Pre riding the route of any stage race is not only fun, it helps to better guess race tactics and who might win a stage. You can feel it, sense it, and guess exactly where the race will blow apart. Then on race day, you wait and watch, knowing what it felt like to be out on that very same road, knowing where it gets hard, where an attack might happen. I have lived in Colorado for twenty-four years. 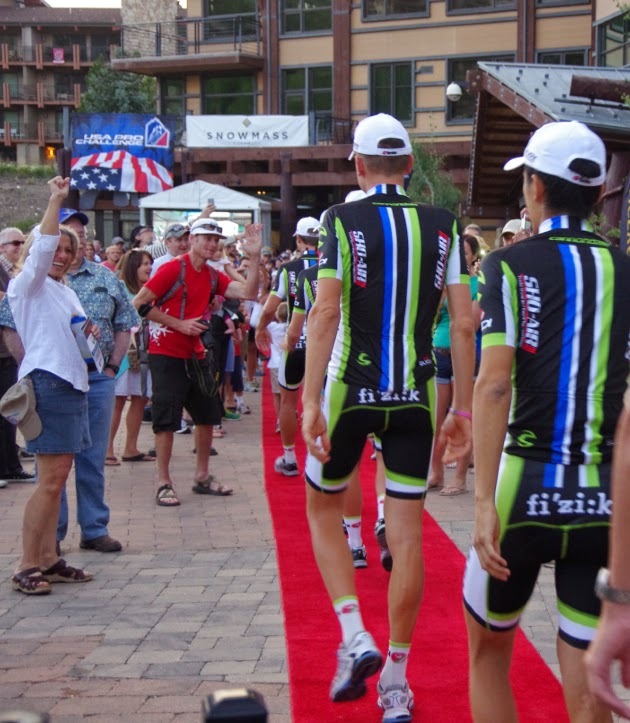 The USA Pro Challenge conveniently started four years ago. The August stage race is the perfect excuse to be a tourist in my own backyard. Having fun with these reci rides, I am working off of the route maps of the 2014 USA Pro Challenge while adding in additional nearby rides and tourist sights. The magnificence of the Maroon Bells, as seen from a bike, no filter! 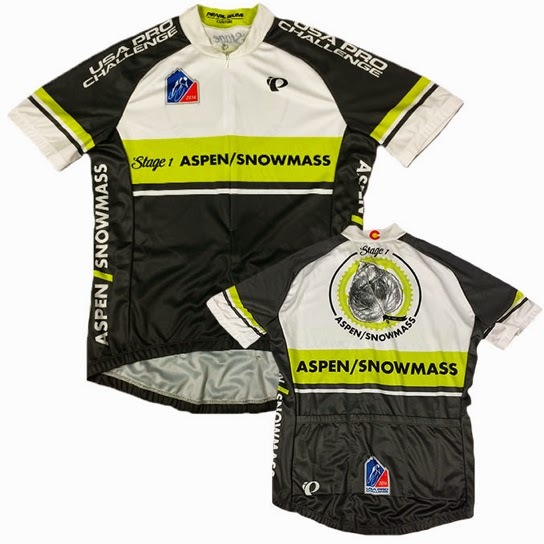 In 2014, the city of Aspen will again host the stage start, together with the nearby ski town of Snowmass Village. 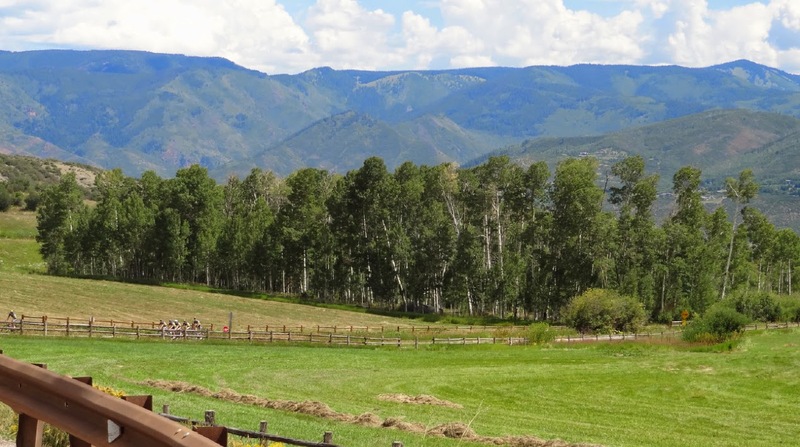 Basically four days of USA Pro Challenge activities will fill the calendar for this mountain valley in August. Press conference, interviews and public appearances will keep the riders busy. 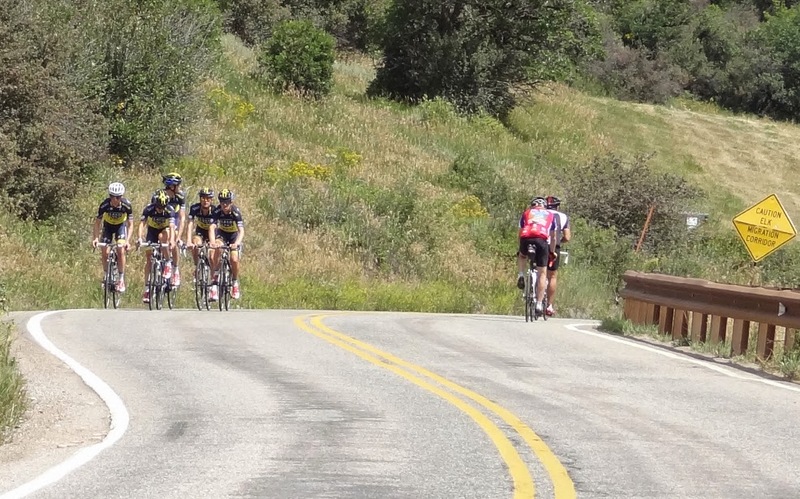 Road rides, hikes, good food, and great race viewing will keep the spectators happy. Arrive early and you will have plenty of opportunity to enjoy the beauty of this mountain town. 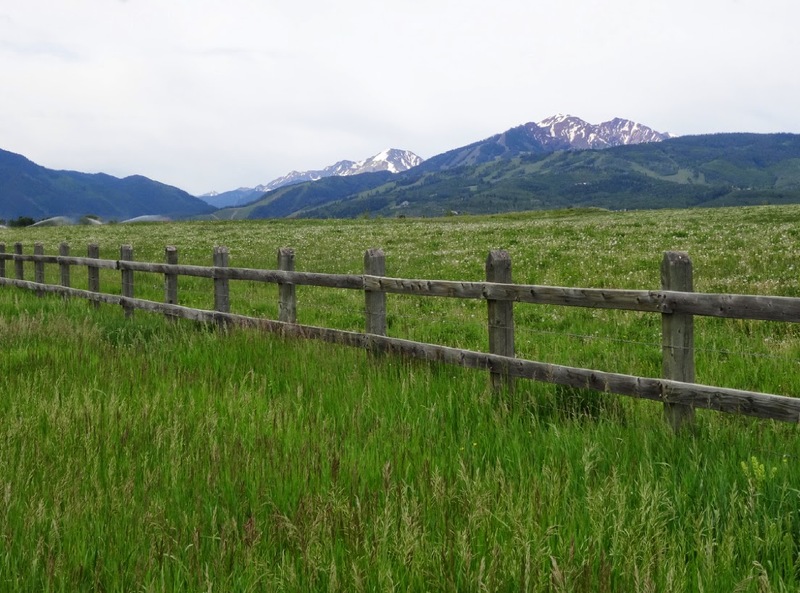 The Aspen/Snowmass area has plentiful hotels, campsites, restaurants, hikes, fishing spots, mountain bike trails and road bike rides. All this before Stage 1 begins on Monday August 18th. Last year the pro riders began to arrive three to fourteen days prior tothe race start. The riders could be encountered on training rides throughout the area. 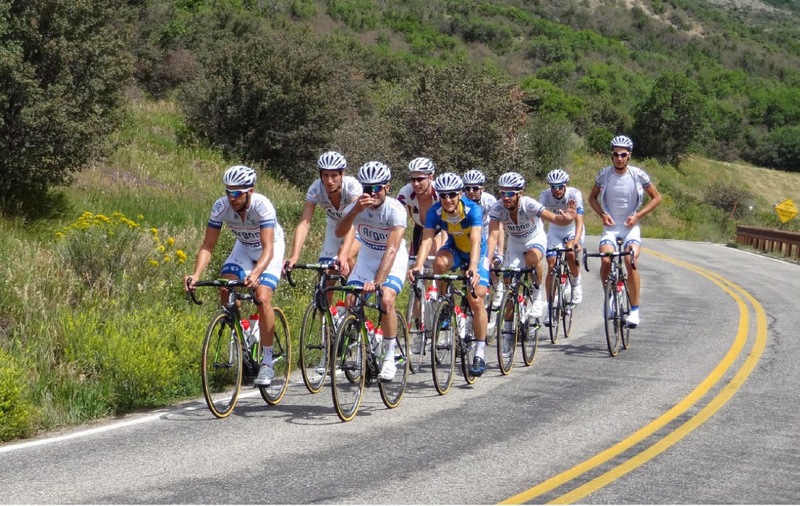 To be out on the road with your favorite pros is a thrill (even if you drive and stop and take photos). 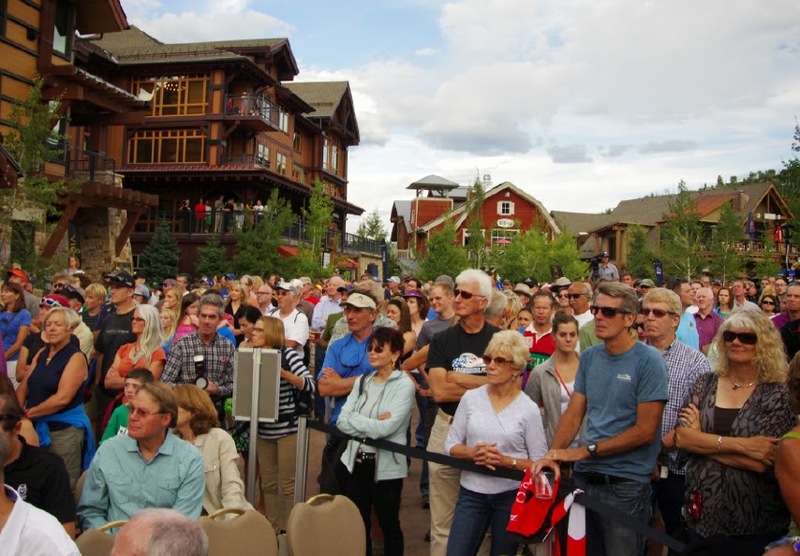 It is your best chance to really see the competitors other than at the team presentation (which will take place this year on Saturday evening at 6:15pm in lower Snowmass Village, free of charge). 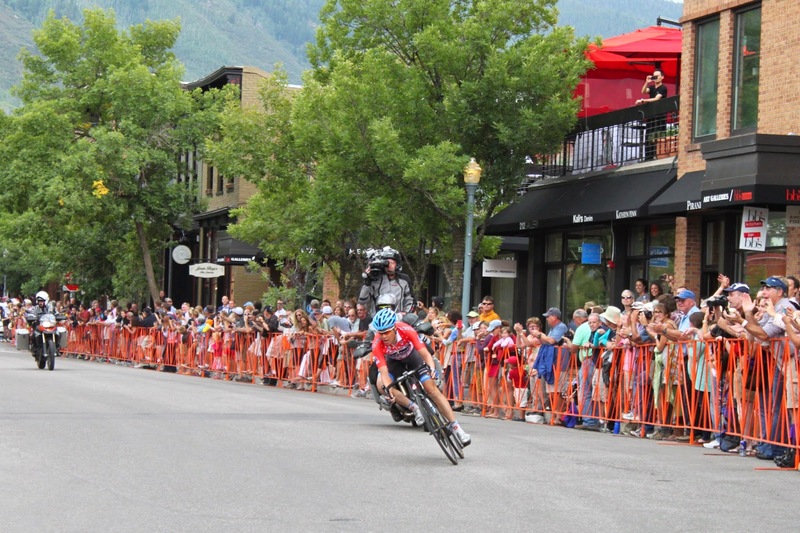 Tom Danielson races into downtown Aspen. Photo by Laurie Valaer for Pedal Dancer. Stage 1 starts off the week of racing on Monday, August 18th. 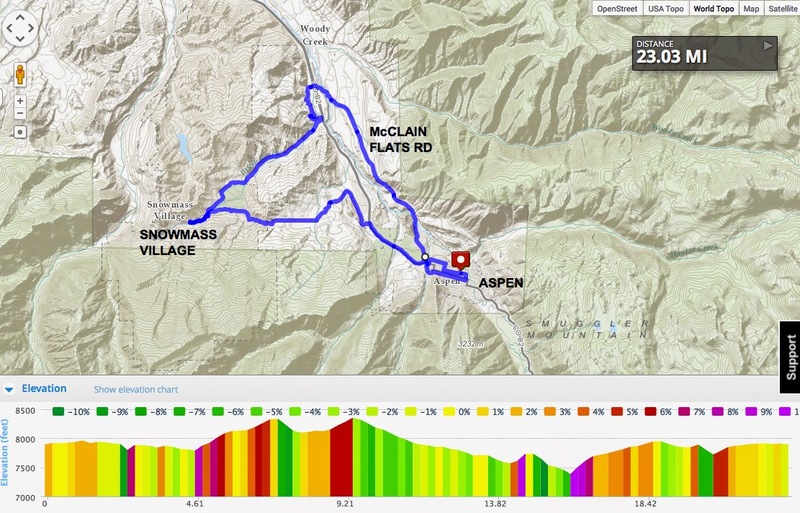 It is a circuit route where you will see riders circle three times on course between Aspen and Snowmass Village. 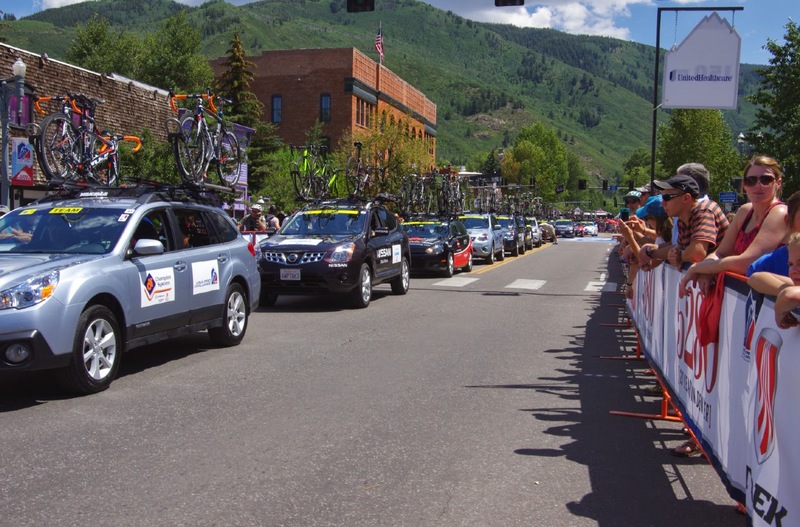 Stage 2 takes place on Tuesday, August 19th, departing downtown Aspen along the main Highway 82 through Main St Carbondale, Colorado. The riders continue up Highway 133 over McClure Pass. Turning left on CR 12 after Paonia Reservoir, the peloton will take on the dirt road for miles, entering Crested Butte from the west, through town to finish up the short steep climb to Mt Crested Butte (ski resort). Aspen circuit race. 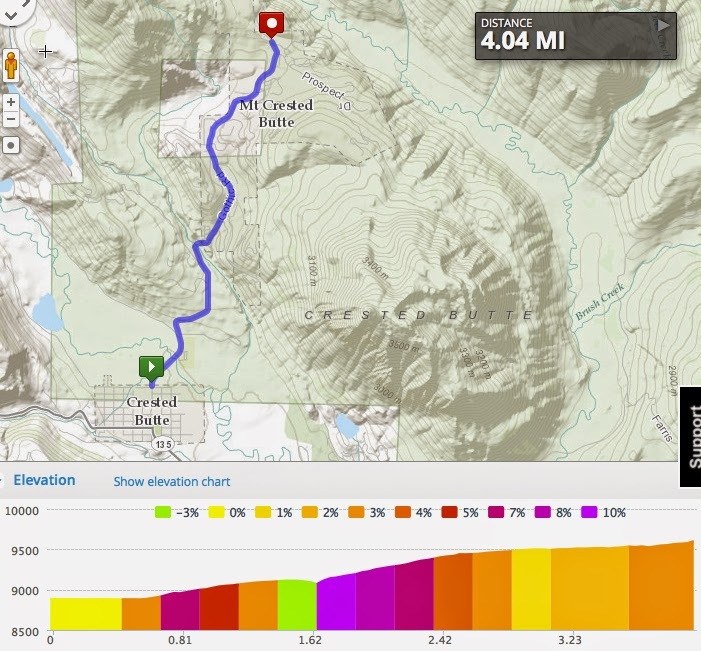 3 laps of nearly 22-miles each, and 2,300 ft. of climbing per lap. Race Begins: Approximately 2:40 p.m.
Race Ends: Approximately 5:15 p.m.
A key strategic point in the circuit as the riders hit Smith Hill Way toward McClain Flats Rd. 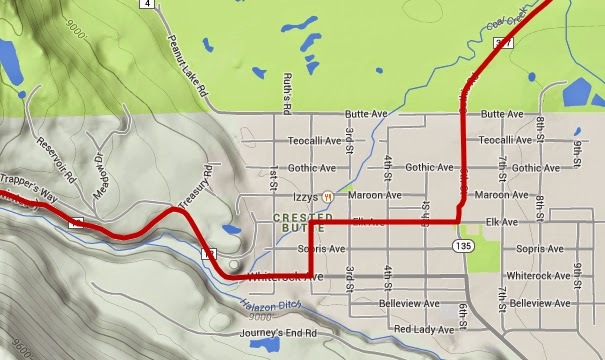 In 2012, professional cyclist, Ted King wrote a great post about his training ride over just this route from Aspen to Crested Butte, it is worth a revisit: 1 photo = 1,000 words, right? Ergo, this entry = 23,000 words, By Ted King (Cannondale). 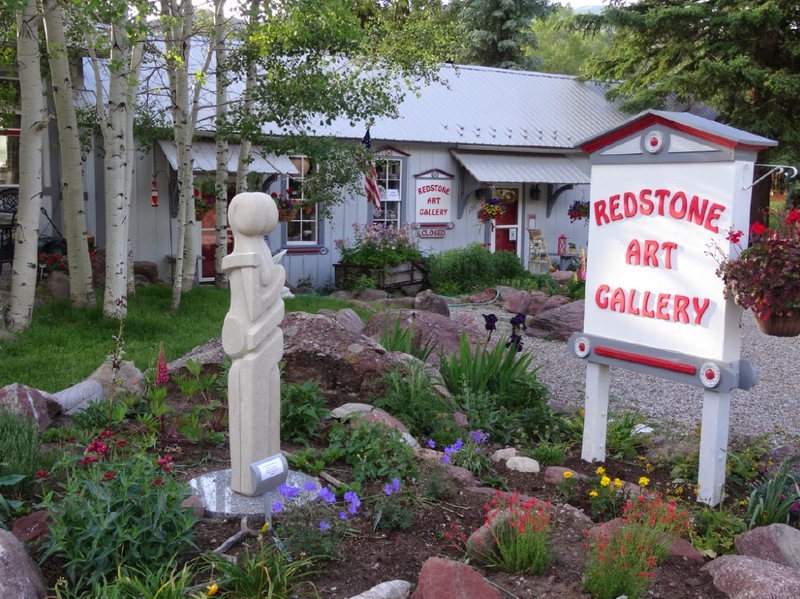 The funky art, cafe and B&B village of Redstone, on State Highway 133 to McClure Pass. The Crystal Club Cafe in town should be hopping on race day. After McClure Pass the breakaway will take this 180 turn from SH 133 onto CR 12.... then they will hit the dirt road section and Kebler Pass ... then the race will really change. Stage 2 to be continued. 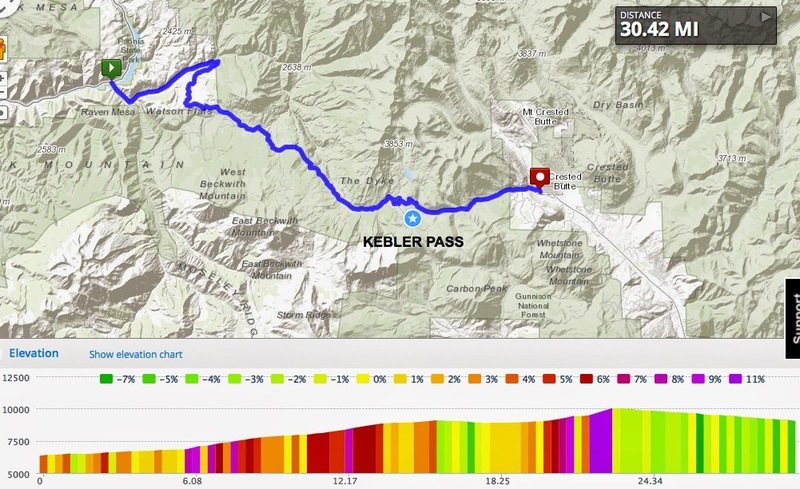 Kebler Pass: 10,079 ft max elev., max grade 11%, 4475 ft gain in 30.42 miles. 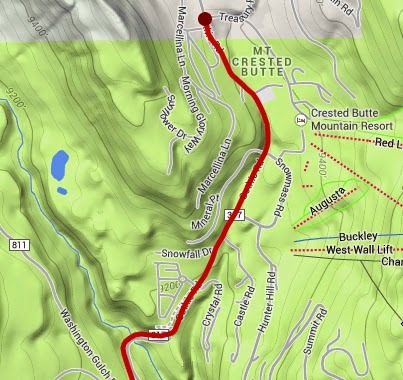 Mt Crested Butte: 9,586 ft max elev., max grade 10%, 729 ft in 4.04 miles approximately. ARE YOU GOING TO ASPEN? 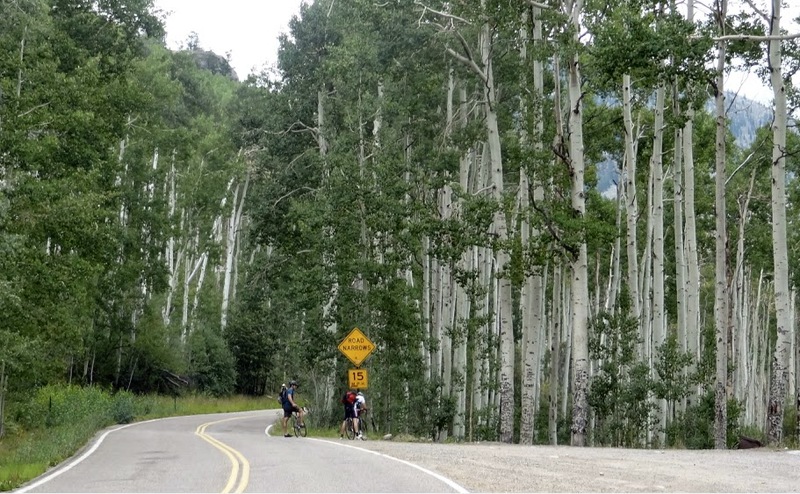 New road rules for cyclists in Aspen: Council allows bicycists in Aspen to yield at stop signs, The Aspen Times, June 2014. Unlike drivers of cars, trucks and motorcycles, bicyclists in Aspen no longer will be required to come to a halt at stop signs, the Aspen City Council decided in a 4-0 vote. I like to camp, I have already booked my spot at the usual Difficult Campground for August. I think I got one of the last spots, so don't hesitate to make your campground or hotel reservations for Aspen now, you will have far better availability and price options. 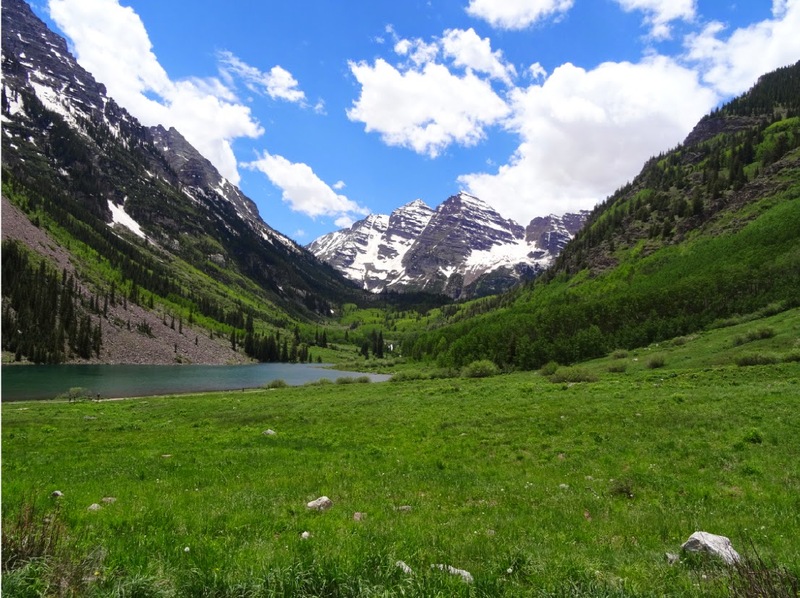 There are also some nice campgrounds up the road to Maroon Bells.For those camping, showers are available for $9 at the Aspen Recreation Center. More campsites listed here and shower information. 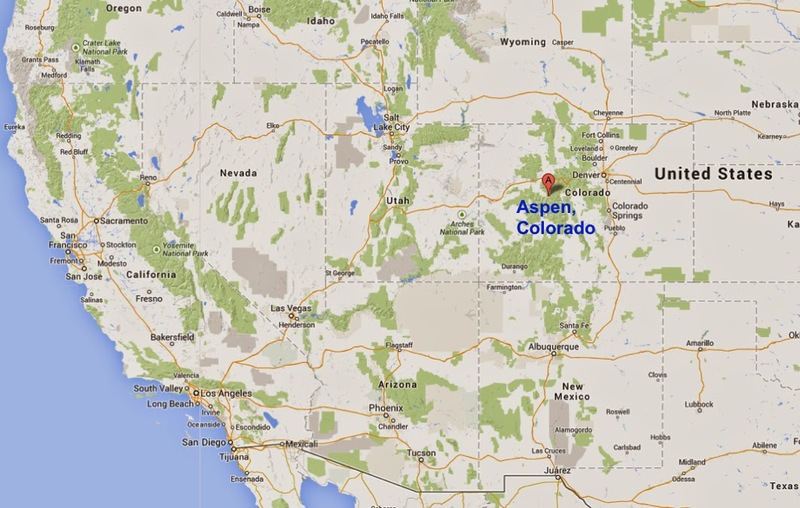 CAMPING in ASPEN: The Aspen Ranger District has 8 campgrounds. Only four will accept reservations. They are: Silver Bar, Silver Bell, Silver Queen and Difficult. The remaining campgrounds are first come first served. To reserve a campsite call 1-877-444-6777. Check out time is at 2:00pm. More helpful information about camping, hiking and fishing on the Wildernet website. 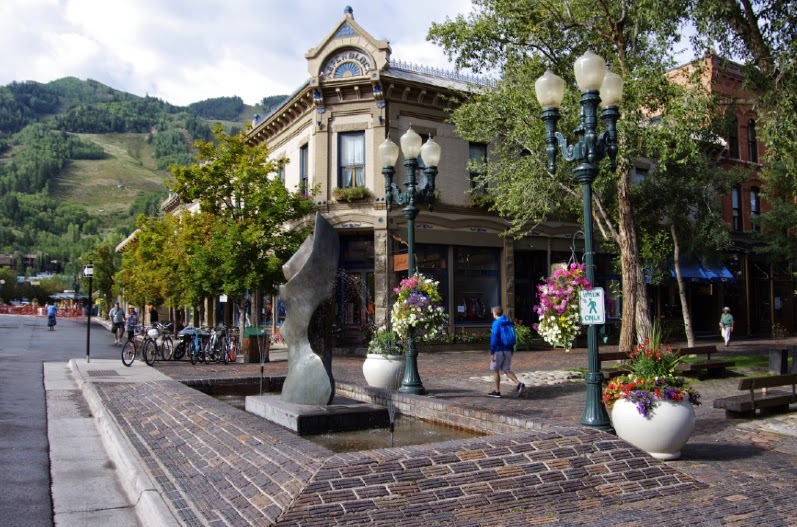 HOTELS AND CONDO RENTALS IN ASPEN/SNOWMASS: The race will center around the host cities of Aspen and Snowmass Village. 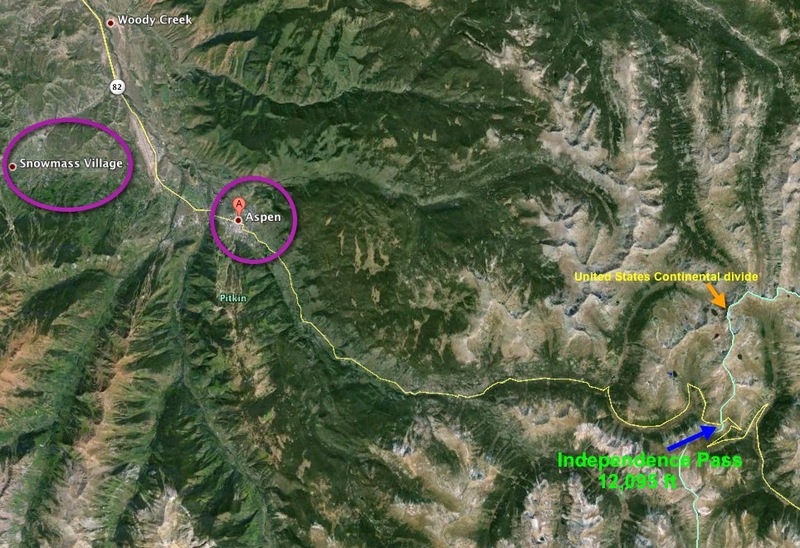 The town of Snowmass is separate and a bit further away. 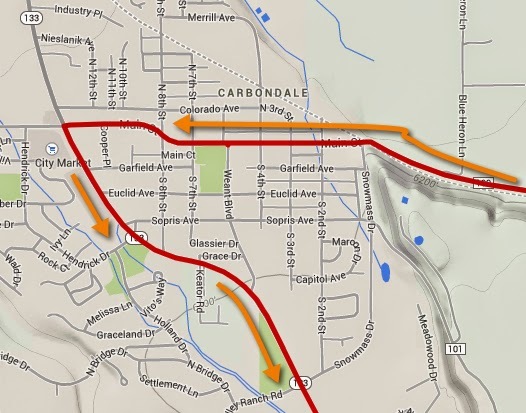 Basalt and Carbondale are close enough to drive in for the day from your hotel, Stage 2 will actually pass right through Main St, Carbondale. 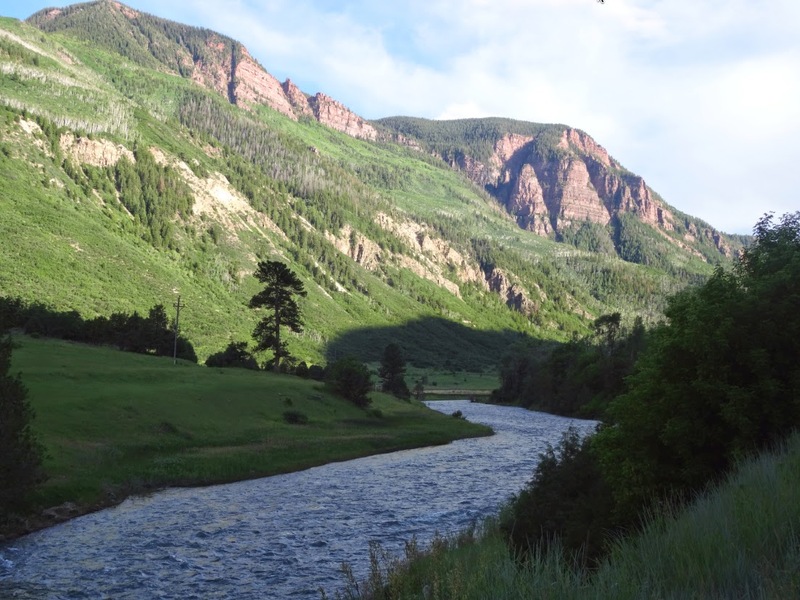 Glenwood Springs has tons of cheaper hotels but is a 55-minute drive north. The town of Twin Lakes (east over Independence Pass) is tiny and has a couple of small rustic lodges. Reviews can be read on TripAdvisor and Reservations made through the usual online sites. 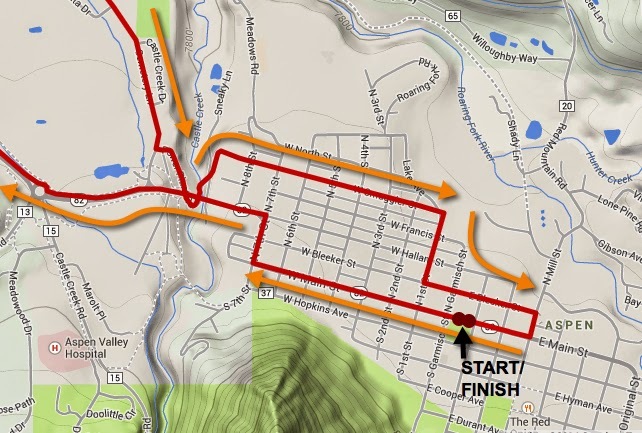 If you are planning to attend Stage 1 or 2 in Aspen/Snowmass Village, remember the race begins on Monday. 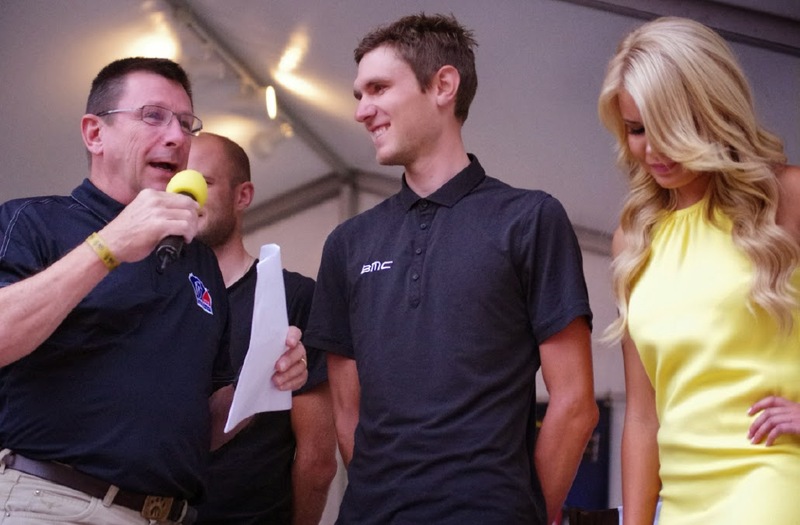 The Team Presentation was free and open to all fans on Saturday night at 6:15pm preceding the race start on Monday. Sunday was an awesome day to get out and ride your own bike and experience riding on the roads with the pros. Plenty of pros and staff could be seen hanging around Snowmass Village (that is where many of the teams stayed and ate and the team mechanics and buses were located). Go for a morning ride to spot teams out training. 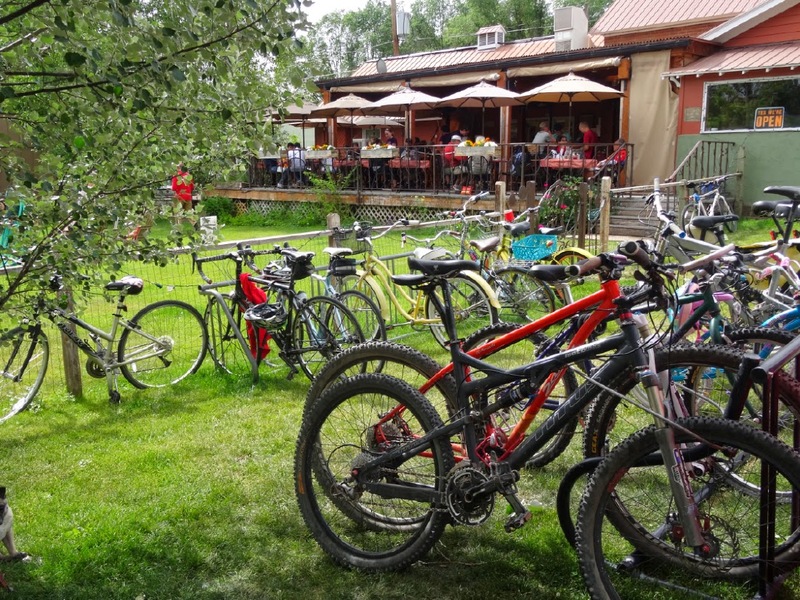 Have lunch on a patio and then visit the team mechanics in Snowmass Village to ask them all your bike related equipment questions. 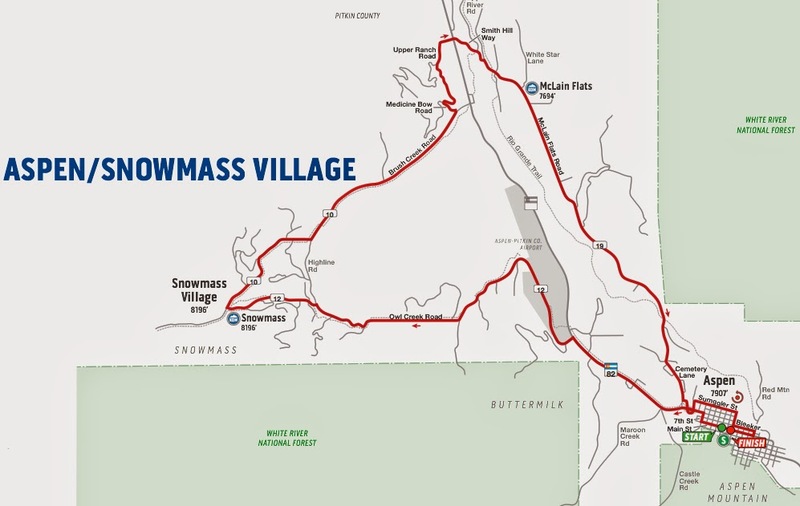 Definitely attend the Team Presentation at 6:15pm in Snowmass Base Village (you can catch the gondola free from the upper village to the lower village). For those interested there will be a VIP reception at the Team Presentation. These VIP tickets allow you to gather is a gated area where all the teams will gather and depart for the stage. More information: 5:30 – 8:30pm VIP Reception – Ricard’s @ Base Village hosted by Viceroy Snowmass $150each. For tickets please contact Wes Graham @ 970-429-2098. 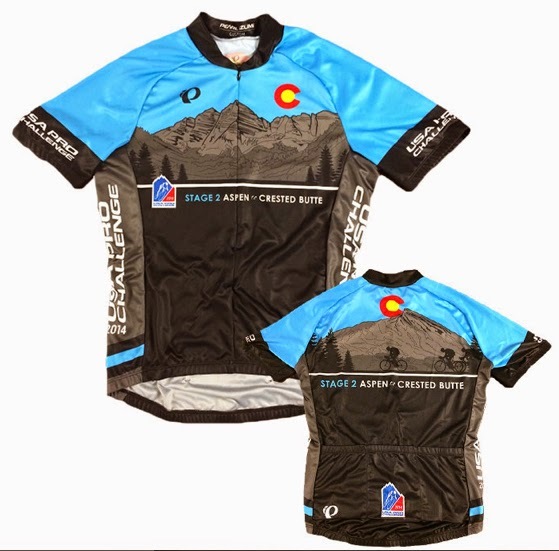 9:00am - USA Pro Challenge Spotlight Ride, community mtn bike ride, free, Tour Snowmass Mountain, starting at Westin Snowmass Resort Sign Up Here! It is steep walking up the ski village of Snowmass. Last year Tom Zirble was trying to hitch a ride up while his teammates used sandals after their training ride. There is a gondola which will take you from the lower village to the upper village. Another morning bike ride to wave to passing teams. The invitation only Aspen Founders ride is 10:00am this day beginning in downtown Aspen, maybe you could make a point of passing them really fast on the road. 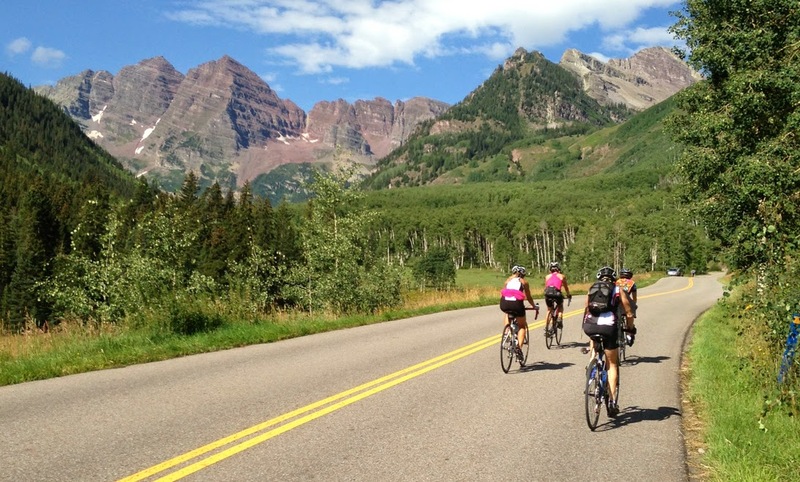 Or visit the Maroon Bells (6-9am by car $10, 9am-5pm by shuttle bus only $6 each, free to cyclists all day, more information. The bus to the Maroon Bells runs from 8:30am to 5:00pm, every 20 minutes. The bus runs only from Aspen Highlands Ski Area where you may park your car to catch the shuttle bus up the road.). 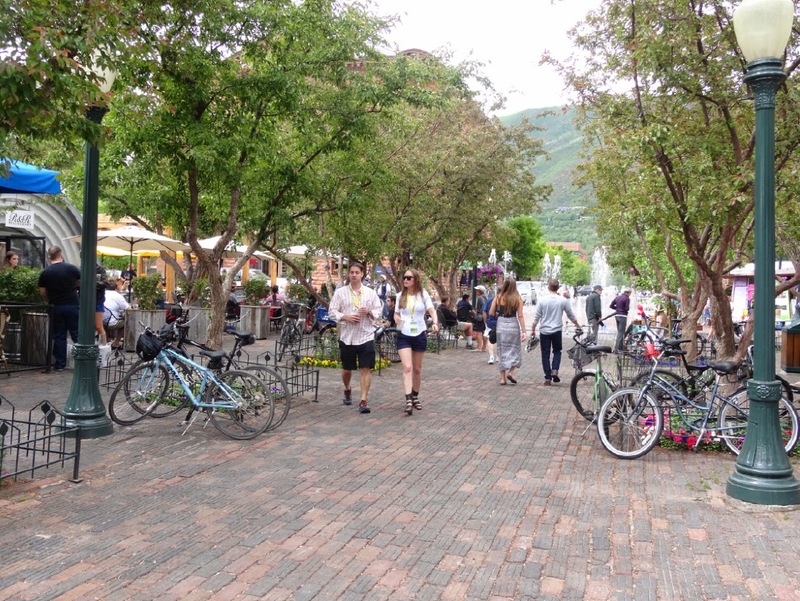 Next have a leisurely brunch/lunch and then an afternoon hike, or go to the festival in downtown Aspen (12-5pm). If you are a huge fan and seeking autographs, the official press conference is at 2:00pm at the Hotel Jerome in Aspen, a few key riders and race figures will be seen entering and leaving the not-open-to-the-public event. In the evening, enjoy drinks and dinner out at one of the many restaurants, or settle in at your campsite for a campfire and good nights rest. 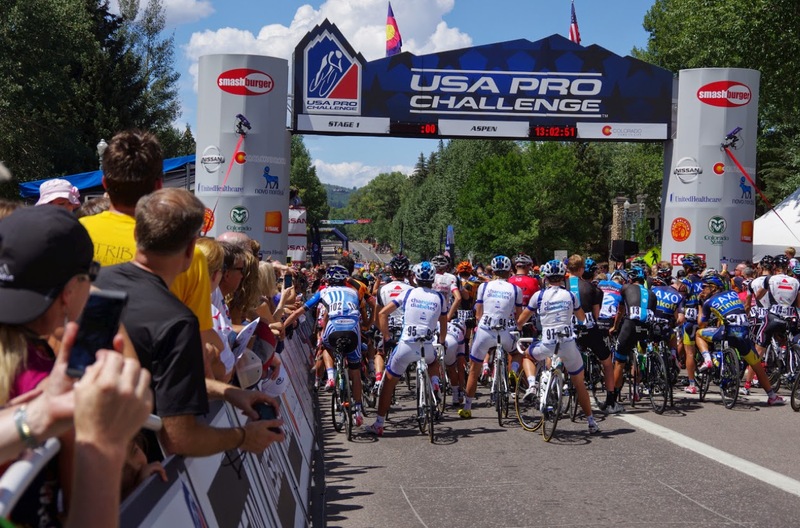 9:00am - USA Pro Challenge Spotlight Ride, community road bike ride, free, starting at Limelight Hotel Aspen, Tour to Ashcroft Sign Up Here! Watching the teams train pre race. Grab a morning breakfast and watch the riders roll to the sign-in stage in Aspen. 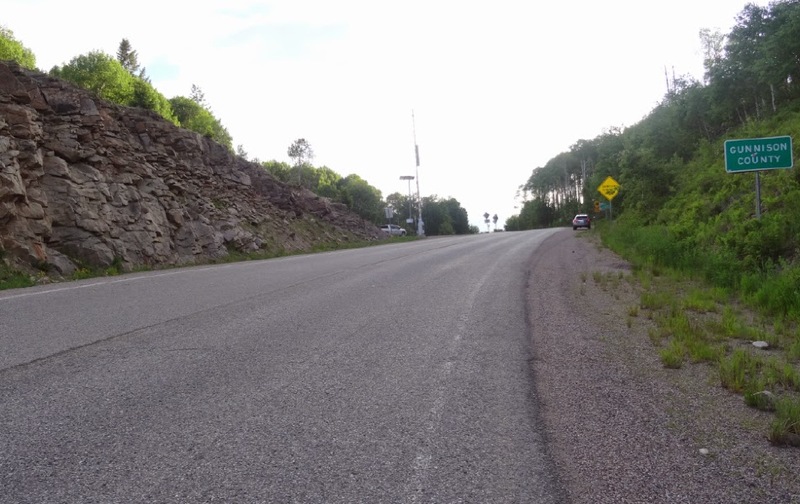 Or ride out on course to one of the climbs. 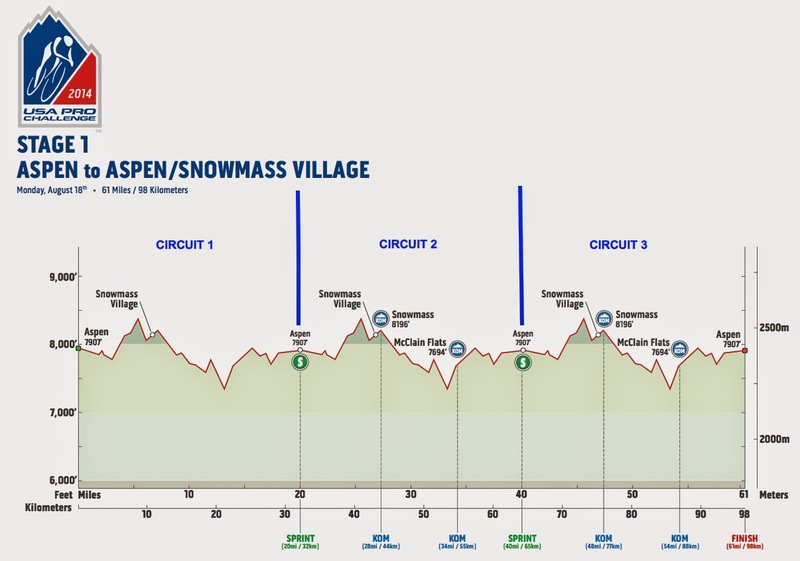 There will be Stage 1 action all along the route between Aspen and Snowmass Village, 3 circuits (pay attention to road closures times). 2:40pm Race Start, Race Finish at 5:15pm. Podium presentation 30-minutes after the stage finish. 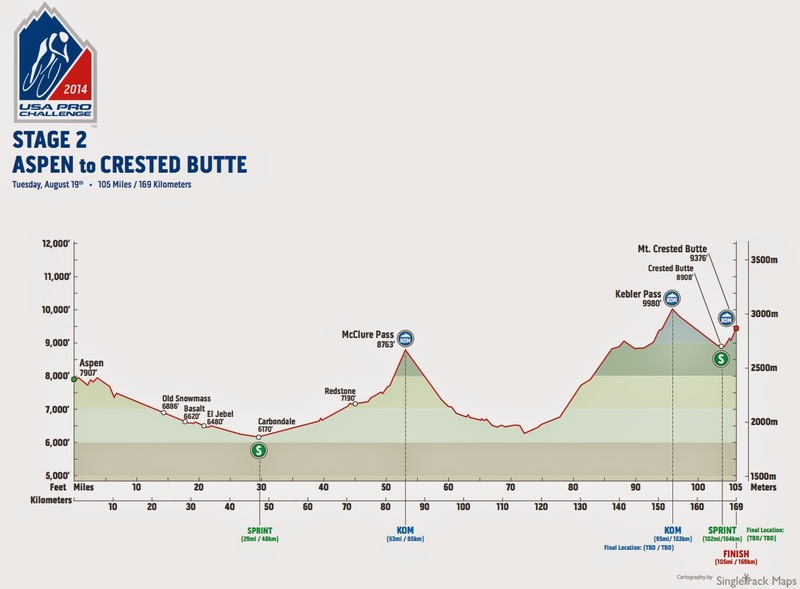 After the stage, remain in town for the start of Stage 2 tomorrow, or drive to Crested Butte to see the finish of Stage 2 up Mt Crested Butte. 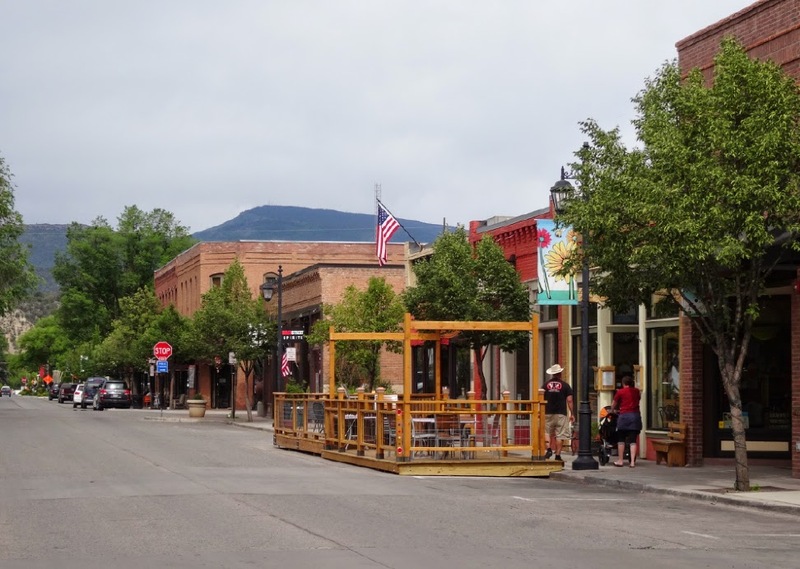 One last chance to see the riders in town, or head to colorful Carbondale Main Street to see the riders pass on the way to McClure Pass. 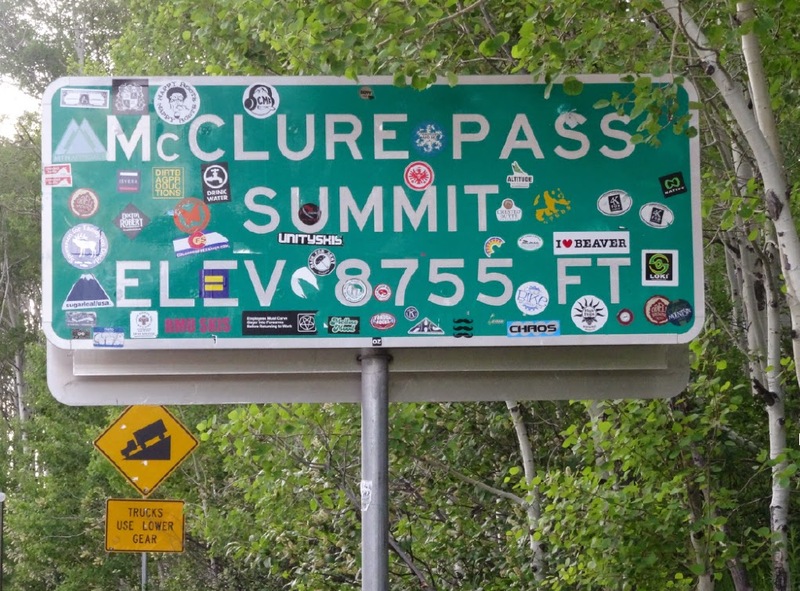 The last 2km to the top of McClure Pass will be a good place to watch the peloton climb on their way to Kebler Pass and Crested Butte. 11:10am Race Start, Race Finish at 4:00pm. The Village Smithy, in Carbondale, should be very busy on race day. 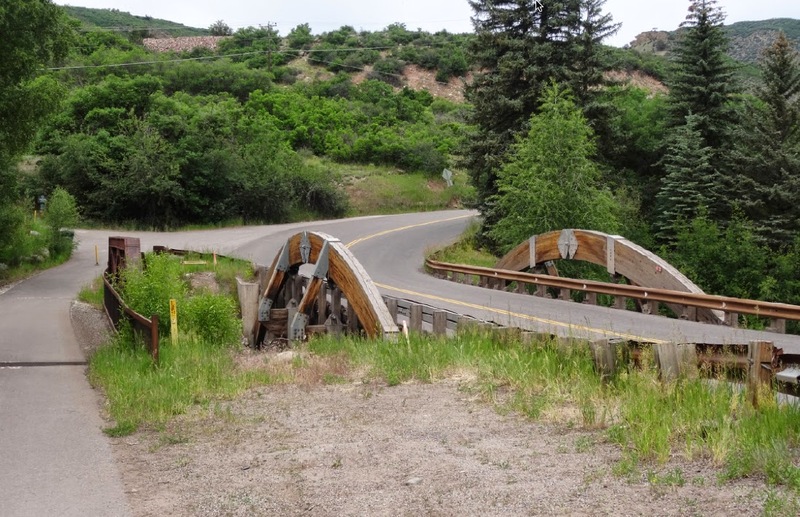 Road closure schedule State Highways for Stage 1 and Stage 2 in Aspen - Snowmass Village - Carbondale- Redstone - McClure Pass - Peonia - Kebler Pass - Crested Butte - Mt Crested Butte. 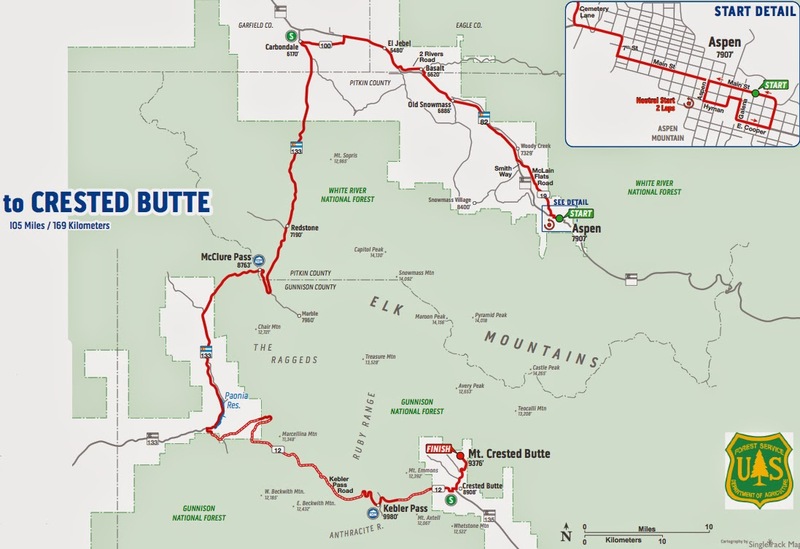 CDOT Colorado Department of Transportation advisory: USA Pro Challenge Road Closures 2014 Stage 1 and Stage 2. 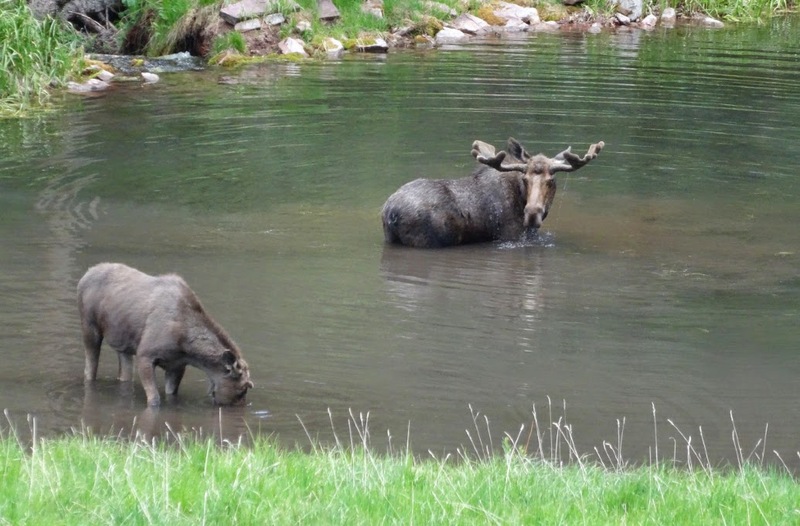 I hope you will be able to get out and ride some of the route yourself, Aspen has magnificent outdoor beauty .. and moose! 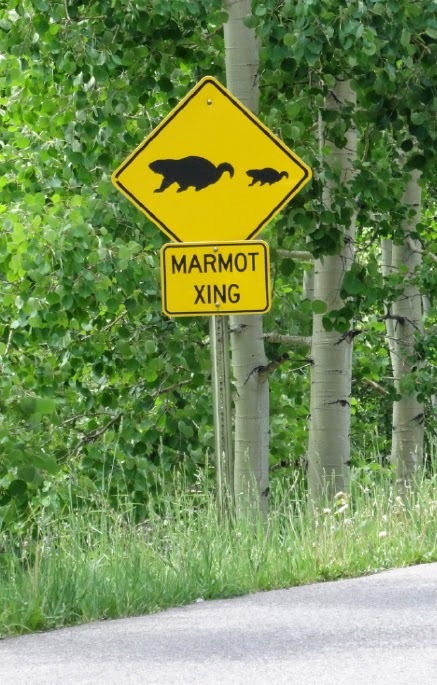 Also black bear, bighorn sheep, mountain goats, mountain lions, lynx, elk, mule dear, and marmot. But you will find that out for yourself.